In the middle of a Scrabble game that you desperately need to win? One of these Scrabble cheats is sure to help you out. 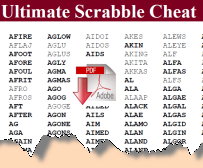 The world of Scrabble cheats, or Scrabble helpers as they are often called, is a bit confusing and unreliable. For one thing, there's the terminology: Scrabble word finders, builders, generators, solvers, dictionaries, unscramblers, anagrammers, and so on. Then there's the fact that you don't know which tools are reliable. 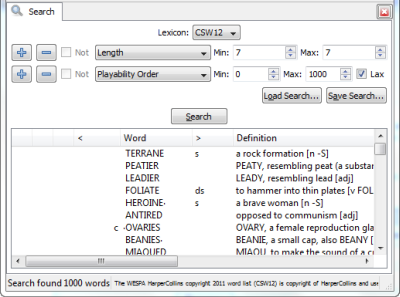 Many Scrabble helpers use a built-in Scrabble dictionary that is either full of errors or hopelessly out of date, for example. What Do You Want To Do Exactly? How to check if a word is allowed in Scrabble — If you just want to quickly (sneakily?) check the validity of a Scrabble word, the best way is to use an official online Scrabble dictionary. How to find words from the letters on your rack — People often call this kind of Scrabble cheat a word finder, or word builder. Whatever you care to call it, you simply can't go wrong with this desktop Scrabble helper. How to determine the best move in a game situation — A tool that does this is called a Scrabble solver, and it is much more complicated than just finding the highest scoring play. By far the best Scrabble solver you'll find is this brilliant little desktop app. Below I've written a short bio for each of the Scrabble helpers I recommend. For convenience, I've organized them by medium (online, desktop, or printable). One of the big problems with online Scrabble dictionaries and other word lookup tools is that the word lists they use are so unreliable (out of date and/or full of errors). There are actually two official online Scrabble dictionaries and word lookup tools, and you can find them both here. Why are there two? I explain it all there, where I also provide some important tips and warnings about using them. I'm going to recommend two brilliant desktop cheats because they each specialize in different things, and they're both free, so you might as well get both of them. Zyzzyva is a Scrabble word builder, word finder, and word study application. If you've got a Scrabble rack and you want to know what words can be built from your letters (including letters on the board), just select the right Scrabble dictionary, enter your letters, and Zyzzyva produces a list of all the valid Scrabble words satisfying your criteria. 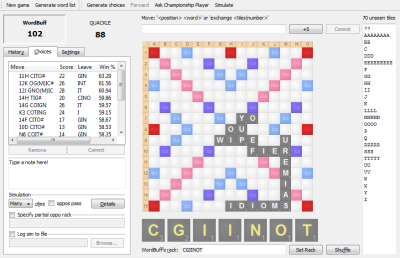 Quackle is a Scrabble game player and analysis tool. That means that you can set it up to play Scrabble, and more importantly for this page, ask it to analyze a game position and tell you what words can be played in that situation. Better than that, it'll even tell you which move is most likely to win! You can read more about this free Scrabble game player here. As I mentioned earlier, electronic and online Scrabble dictionaries and lists are notoriously unreliable, unless you go to an officially sanctioned source. I've found the same is true for the many Scrabble cheat sheets you'll see scattered around the web. To make your job easier, I've created several Scrabble word lists and cheat sheets that I meticulously keep accurate and up to date. For example, did you know that one of the official Scrabble dictionaries introduced hundreds of new words on the 1st of January 2012? My lists contain all these new words, highlighted so that you can see which ones are new. I also carefully delete any words that get removed from the official Scrabble dictionary from time to time. Another thing I like to do to make sure that my cheat sheets are as user-friendly as possible is to make it visually clear which words are allowed in which jurisdictions (something that traps a lot of beginners).